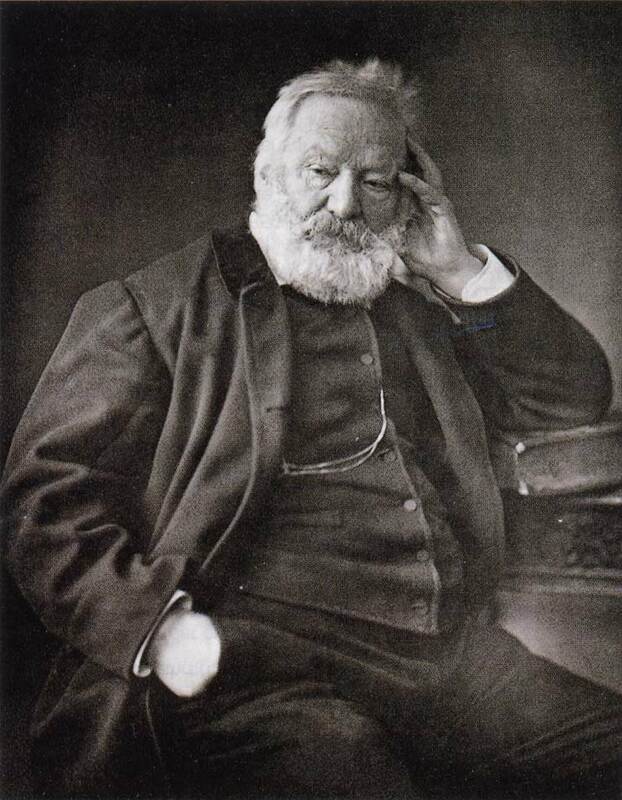 Victor Hugo (1802 - 1885) was a dramatist, novelist, and poet, one of the most well-known and esteemed French writers. 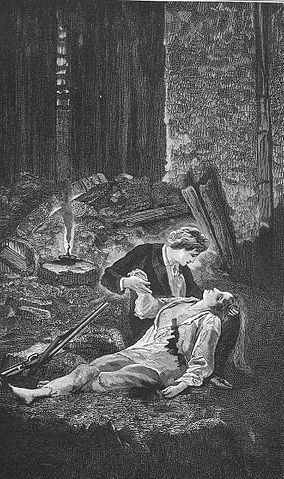 He was part of the Romantic Movement, best known for his novel, Les Misérables (1862), set during the Paris Uprising or June Rebellion of 1832, an anti-monarchist insurrection led by the Republicans to reverse the 1830 "July Monarchy" of Louis-Philippe. Though the July Monarchy had over ten time as many troops as the Republicans, both sides lost comparable casualties before the rebellion was thwarted. It was a particularly terrible time of turmoil and suffering in France, with widespread food shortages, poverty, and a cholera epidemic that killed over 100,000. Hugo was writing a play in the Tuileries Gardens when he heard the gunshots that started the Rebellion. He was surrounded by barricades with bullets flying, inspiration for what became his legacy. Thirty years later, he published the epic novel, Les Misérables, that would forever chronicle these significant events in France's history.